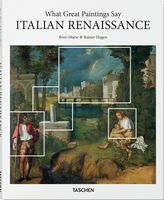 Surreptitious messages, concealed myths, and historical truths lie hidden in the great works of the Italian Renaissance, behind heavy gold leaf and religious symbology. 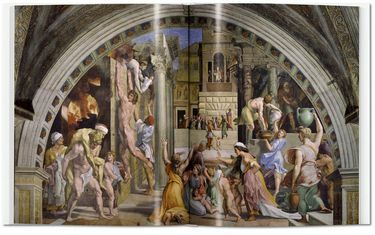 Although often obscured by the archaic language of historical painting, careful analysis and expert interpretation bring these images to life. Discover masterpieces of the most beloved creative epoch in this fascinating art historical inquiry. 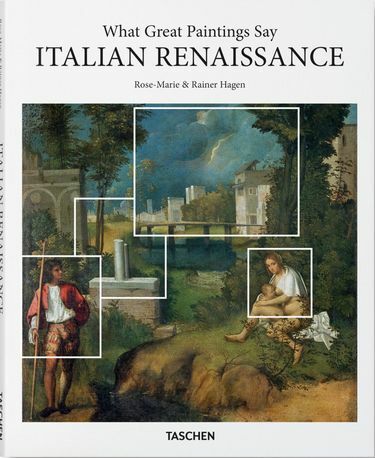 Images of war, romance, birth, and knowledge, works of the Italian Renaissance have much to say, when given a voice. Rose-Marie and Rainer Hagen do just that?pulling apart each of the 12 featured paintings with all the talent of true detectives to offer an illuminating portal to the past. 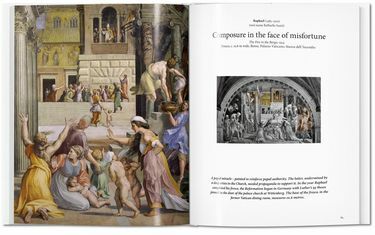 From Michelangelo’s The Creation of Adam to Ucello’s The Battle of San Romano, from Antonello da Messina’s St. Jerome in His Study to Pinturicchio’s Penelope with the Suitors, the artworks under investigation are a diverse representation of the period’s innovation and brilliance, sourced directly from some of the most impressive collections in the world, including the Uffizi, Prado, and National Gallery London.